I love quirky events and shows, I attend many in Vancouver, so when I’m travelling, it’s no surprise that I like to find fun and unique local events to check out! 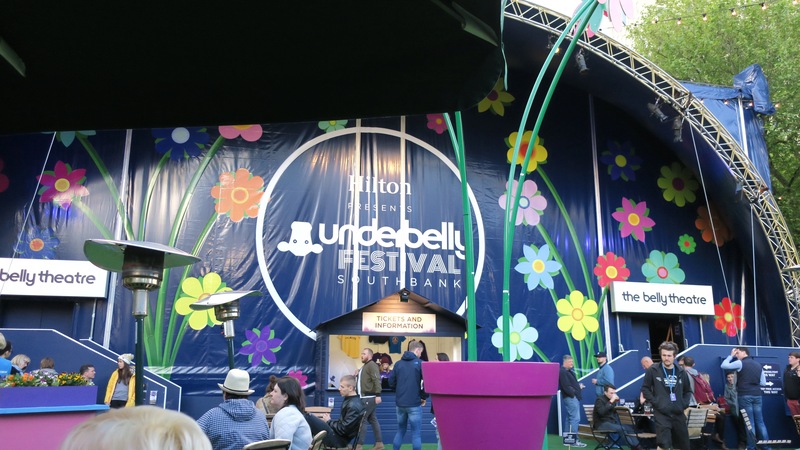 When I was in London, I came across the Underbelly Festival. I didn’t proactively find this event, but rather stumbled upon it. 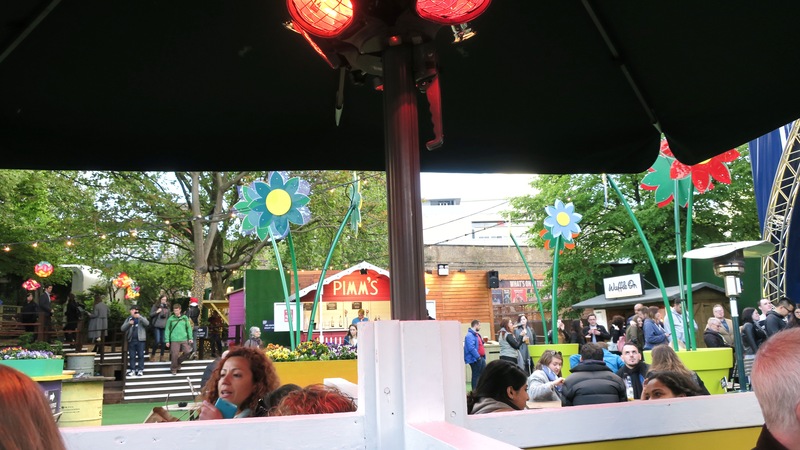 I was walking along South Bank one evening when I saw some cool lanterns and a garden-like area filled with people. The decor definitely caught my attention, very summery and colourful, with lively vibes. When I walked into the main area, which is essentially a large outdoor patio, I was amazed at the diverse drink and food selections. So naturally I had to try these food options in front of me 😉 I bought a nice cold cup of Thatchers cider (my favourite cider brand from the UK!) and also some yummy chips (or fries as we North Americans say haha). At first, I thought this was an outdoor evening food market, but then realized people were lining up to watch performances that were about to start at 7pm. This event was actually an ongoing festival that goes throughout summer until the end of September. The Underbelly festival has performances ranging from comedy, circus, cabaret and family entertainment. 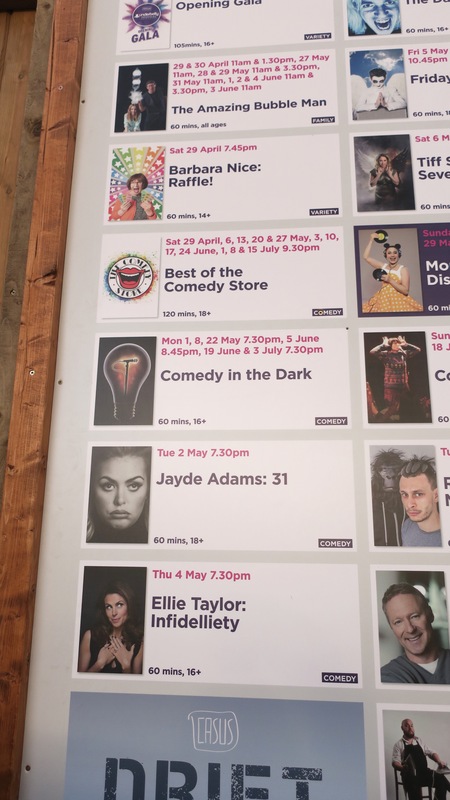 I ended up buying a last minute ticket to the ‘Comedy in the Dark‘ show. I then spent the next hour in pitch black darkness laughing nonstop, it was an amazing comedy show and different + unique experience for sure! 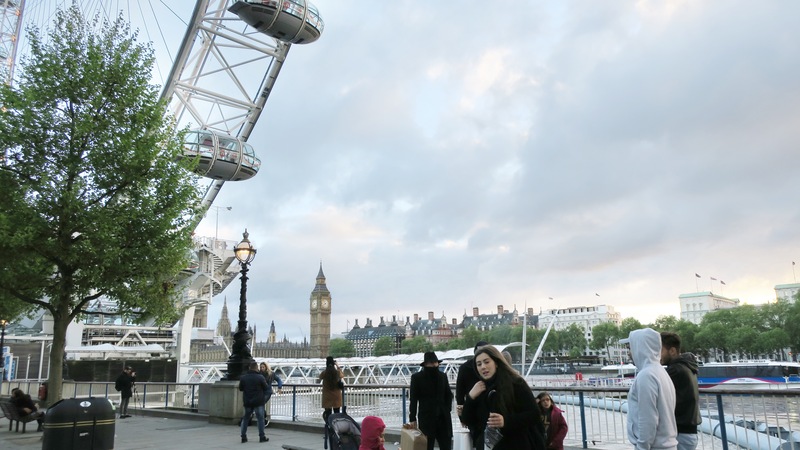 It was so nice to sit outside with great views of the London Eye and just relax in the late Spring cool temperature. I left very happy, but unfortunately since it was my second last day in London, I couldn’t fit in another show before I left for the next City of my trip. Some of the other shows sounded really fun, so hopefully if you guys are in London right now or before the end of September, you’ll get to check out this festival! The view outside the venue along South Bank. Isn’t it gorgeous?!? I love walking along this area by the water. I also captured a shot of the merry-go-round close by as well!